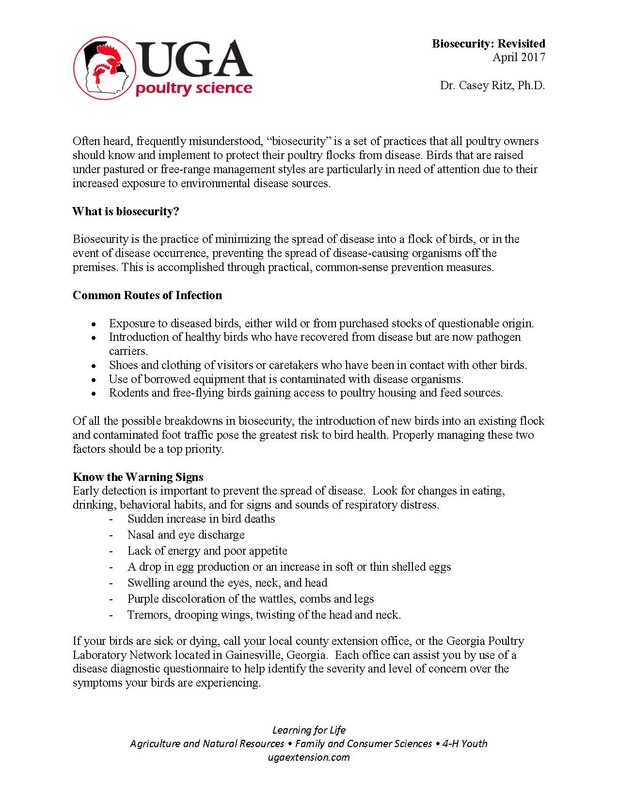 Often heard, frequently misunderstood, “biosecurity” is a set of practices that all poultry owners should know and implement to protect their poultry flocks from disease. Birds that are raised under pastured or free-range management styles are particularly in need of attention due to their increased exposure to environmental disease sources. Biosecurity is the practice of minimizing the spread of disease into a flock of birds, or in the event of disease occurrence, preventing the spread of disease-causing organisms off the premises. This is accomplished through practical, common-sense prevention measures.